disappointed, frustrated, and even resentful. movie response…only to have him in the real conversation come back with a comment that I didn’t foresee. forgiveness, sometimes he points out an area of weakness in my life. Didn’t see that one coming! As painful as the quote above can be, Ms Georgia is exactly correct. 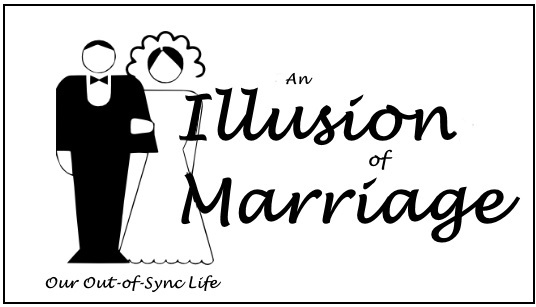 The illusion that we can change our spouse (…our children, in-laws, friends) is simply a lie we are telling ourselves. Seventeen years of marriage has taught me a few things about my husband. Maybe you are struggling with the same. expect immediate answers and changes. is better for both of us. in actuality, an error in mine. My error could be a heart issue or simply an unrealistic expectations which he can not fulfill. Either way…as the saying goes, whenever you point a finger, there are always three fingers pointing back at you. 3. The Holy Spirit does not need my help. two people, but in reality, life is not a script. The Holy Spirit does a better job than I could ever imagine changing willing hearts. Where I need to be is on my knees for my husband and not in his ear. 4. Holding tightly to an illusion isn’t helpful for either one of us. By definition, an illusion is a false idea or belief. Holding on to something that isn’t true will never help me take the next step to lead us to the marriage I desire. What illusions are you holding on to?